Elmont, N.Y. – Eastern States Eyewear has announced the release of eight new ophthalmic styles within its Exces Eyewear collection. The collection sees a vast mix of materials. In plastic, there are three new styles featuring a diverse range of color schemes that sport a mix of several animal print laminates or clever fades. In metal, there are two stainless steel styles in petite sizes (either a 48 or 49 eye). Both feature architectural temple shaping and two toned color schemes providing for a bright, youthful look. Additionally, the collection premieres three “Montage” styles. “Montage” frames feature a thin stainless steel skeleton with an epoxy “skin”. This coating provides a soft texture as well as a wonderfully subtle touch of added dimension – looking at each sku closely reveals faint striations in each color. 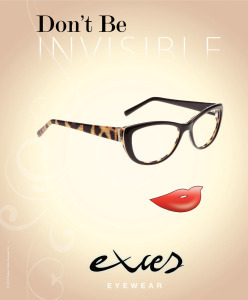 For more information, contact Eastern States Eyewear at 800-645-3710 or on the web at www.eseyewear.com.